It just makes me all gooey inside. 🙂 I am honored to capture these fleeting, wonderful first days with a new little one. 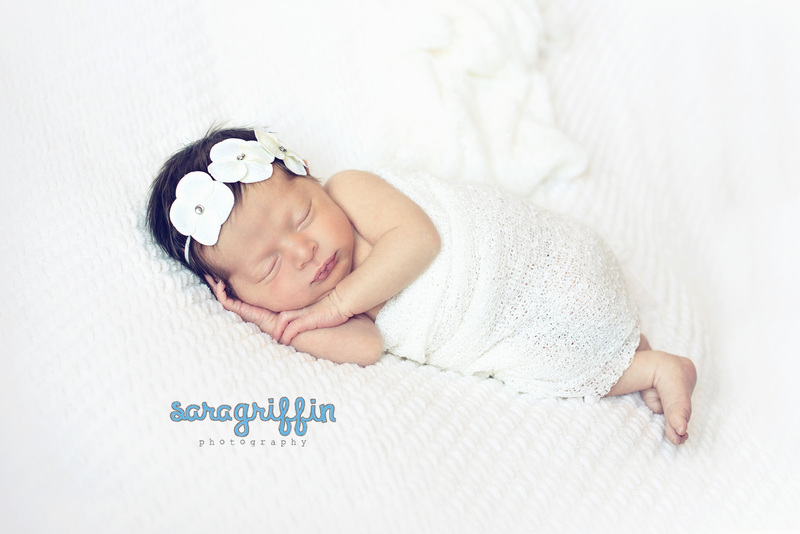 Here is the first newborn of 2014… Meet Miss Elizabeth! She was all that I love in newborn sessions and more. I truly enjoyed the snuggles, the newborn squeaks and snorts, the HAIR (!! ), and getting to know her precious mama Kara. 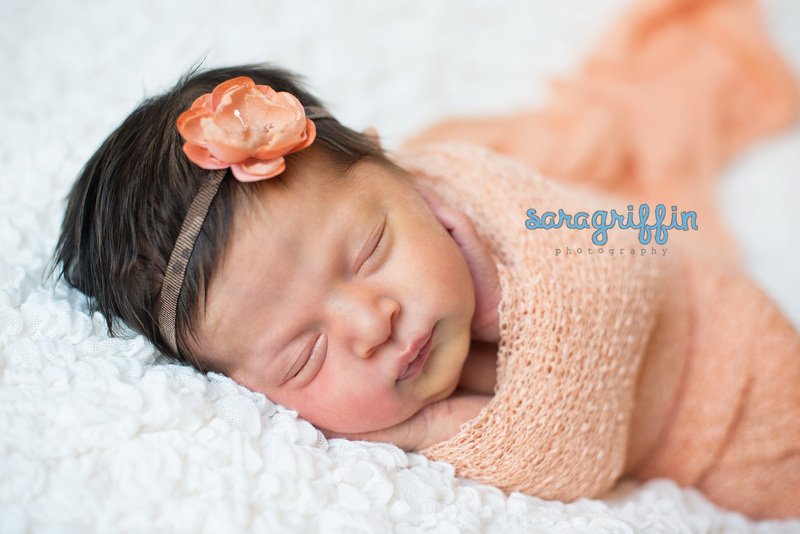 Elizabeth is a beautiful gift to this new little family! 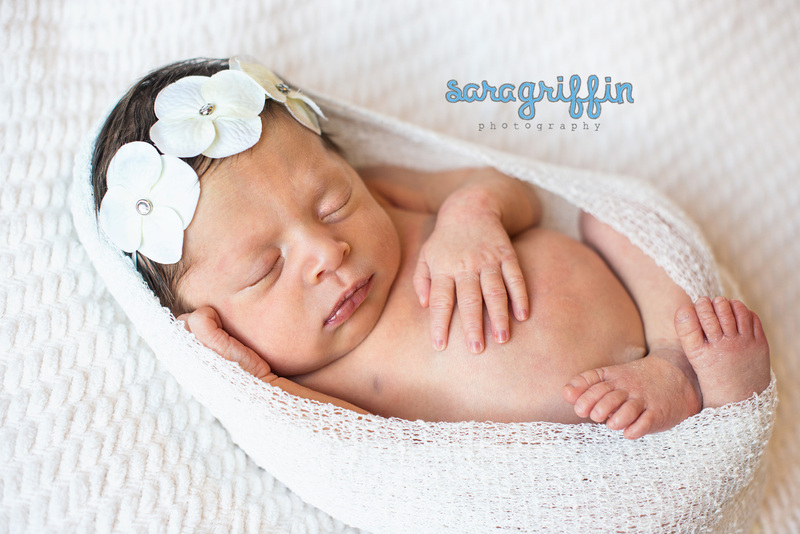 If you are expecting and would like to talk with me about a newborn session, please contact me (saragriffinphoto (at) consolidated (dot) net) during your second trimester if at all possible. I would love to work with you and your new little one when he/she arrives! I do tend to book up at least 2 months in advance, so contacting me early is beneficial so that we can ‘pencil in’ your due date as a placeholder on my calendar. Please enjoy this sneak peek of sweet Elizabeth! Kathy Bergmann - Love Elizabeth’s pictures, and I really enjoyed meeting you!